Home / Archive / featured / BBC Three: What happens next? BBC Three: What happens next? Now BBC Three has made the transition to an online only service, what happens next on Freeview, Freesat, Sky and Virgin Media? What happens to the BBC Three channel number? Digital UK, the organisation in charge of governing the channel number system on Freeview in a fair, reasonable and non-discriminatory way, has been consulting with stakeholders about what will happen to BBC Three's standard and high definition channel number slots. Ofcom rules, based on the Broadcasting Act, say that certain public service channels should have due prominence over other channels. Digital UK had suggested in its consultation that channel 7 be offered to public service channels in Wales and Scotland currently on channel 8. This would allow channel 8 to be used across the UK for local TV services, as it currently is being used in parts of England and Northern Ireland. This in turn would free up channel 23, used by STV Glasgow, STV Edinburgh and Made in Cardiff, to be used across the UK for another service. BBC Three's HD channel number (105) would be reallocated to the next public service channel, according to the consultation document. The results of the consultation are due soon. 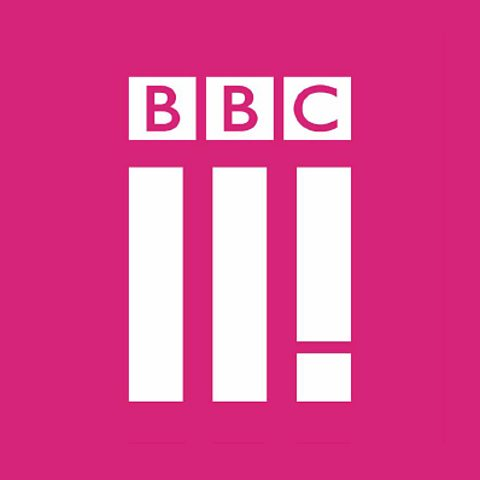 On Sky, Freesat and Virgin Media, there's a possibility that BBC Three's current slot could be used for another BBC service, i.e. BBC channels further down the channel list could get promoted. This in turn would trigger minor reshuffles further down the list, which would be filled based on each platform operator's policies on such matters. Sky EPG slots can be traded, Freesat and Virgin Media slots can't. Where can I find BBC Three content on "traditional" TV platforms? Viewers with connected Freeview devices, YouView, Sky, Freesat and Virgin Media will be able to access BBC Three content on-demand via the iPlayer or Red Button+. There will only be a couple of hours max per week of regular programme content. All programmes will appear on BBC One or BBC Two after premièring online. They're supposed be broadcast at various time slots, according to the BBC Trust, but initially only late night slots after the news have been scheduled. You should look in places like Heat magazine the Metro or The Sun TV Mag if you want to find out what's coming up on BBC Three, according to an article published by the BBC. Online, new content will be flagged up in BBC Three's Daily Drop, available from the BBC Three website. What happens to BBC Three's broadcast capacity? BBC Three and CBBC share broadcast capacity. The BBC is due to extend CBBC's hours by two hours each night. BBC management has been ordered by the BBC Trust to report back on its plans for the remainder of the vacated space in the coming weeks. Good Riddence to BBC Three.The BBC is a load of CRAP. Hello Channel 5 HD.I could just boycott all BBC services on my Freeview HD box but that would be childish as i'm 36. If you prefer C5, does this mean the BBC isn't downmarket enough for your tastes? How about BBC4 HD replacing BBC3 HD on basic Freeview transmitters? BBC4 HD replacing BBC3 HD makes so much sense, I can see little chance of it happening. I can see NO chance of it happening! As CBBC is due to expand to 9pm, either CBBC would have to move or BBC Four's hours cut down to make it happen. Still baffles me that the BBC Trust can say "Yes you can close BBC3 without any idea what you'll be doing with the space it vacates." No chance of anymore 3D content I suppose? It is a shame to lose BBC3 on TV but BBC iPlayer is a good way to preview programmes and the extra time for CBBC is realistic to increase that audience. It would be most logical to have Channel Five HD on the spare channel.